Winter is the sister to Snow Harrison. Overly energetic and eager, she finds the most joy in life. 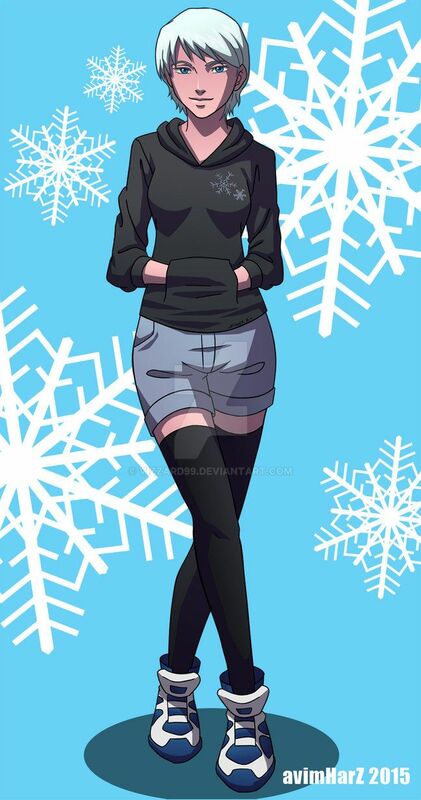 an easy counterpart to snow's Persona. Winter loves her family and all her friends with all her heart but treasures her older brother the most. Athletic and a beauty winter is everything Snow is not. Popular, well known, and loved. Though its all just a menial things to her. In actuality what she enjoys more than anything is to be with her brother and her friends Ken Archbell and Scarlet Nix. A bit of a wild card and on the wild side She has an unpredictable personality and loves being independent. Nice work with the cell shading, looks really good here! i like her style nicely done!